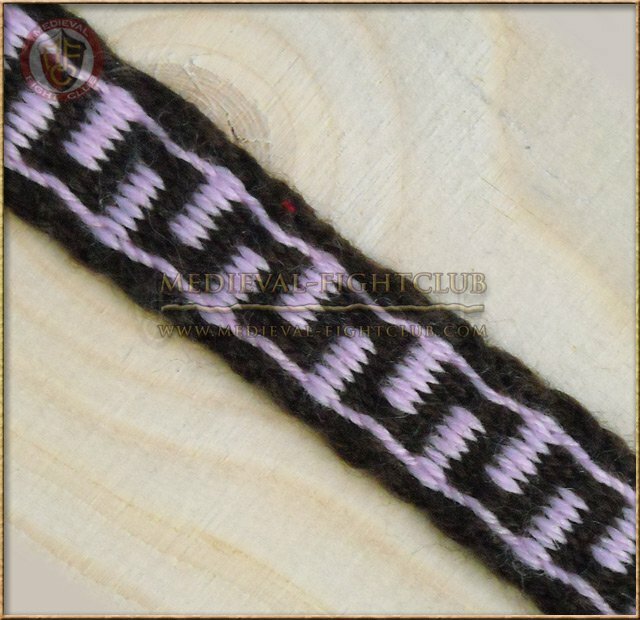 Woollen braid made in Brown and Pink. Hand woven in Australia. Perfect addition to your tunic, pants bags or belts. Add some natural bling to your period costume. 1.8cm wide and sold in 45cm lengths.